MAY BUDDHA BLESS US WITH ENLIGHTENMENT. Today is Buddha Purnima or Buddha Jayanthi. Buddha means "enlightened one" - someone who is completely free from all faults and mental obstructions. The word Purnima means a full moon day. This day is a thrice blessed day as the day being Buddha’s Birth, Enlightenment and Mahaparinirvana. It was on this 2637 years ago Siddhartha Gautama was born in Lumbini gardens, 2602 years ago he attained Enlightenment to become the Buddha and 2557 years ago attained Mahaparinirvana but all these events took place on the full Moon day. 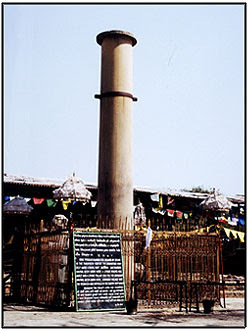 The Lord Buddha was born in 623 BC in the sacred area of Lumbini (see picture above) located in the Terai plains of southern Nepal, testified by the inscription on the pillar erected by the Mauryan Emperor Asoka in 249 BC. 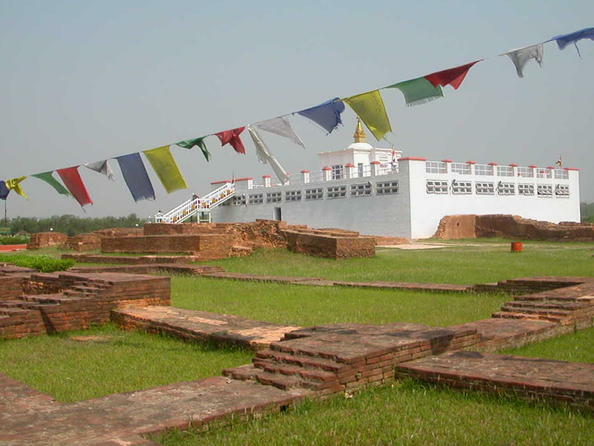 Lumbini is one of the holiest places of one of the world's great religions, and its remains contain important evidence about the nature of Buddhist pilgrimage centres from as early as the 3rd century BC.